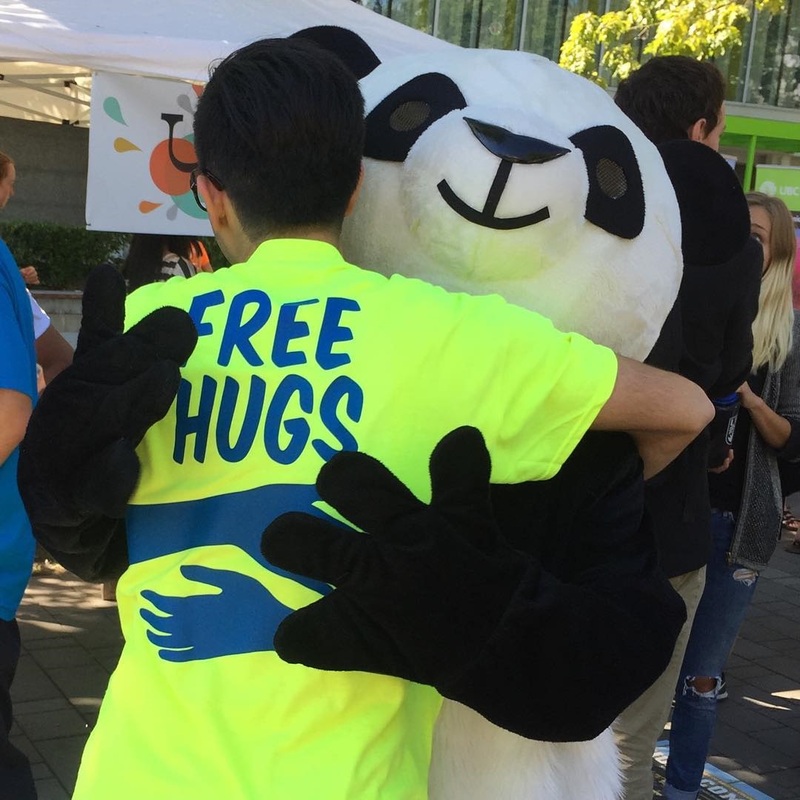 Humans around the world tend to disagree about almost everything, but one thing we can all agree on is that hugs are nice. Since that’s the case, shouldn’t we all give more hugs? 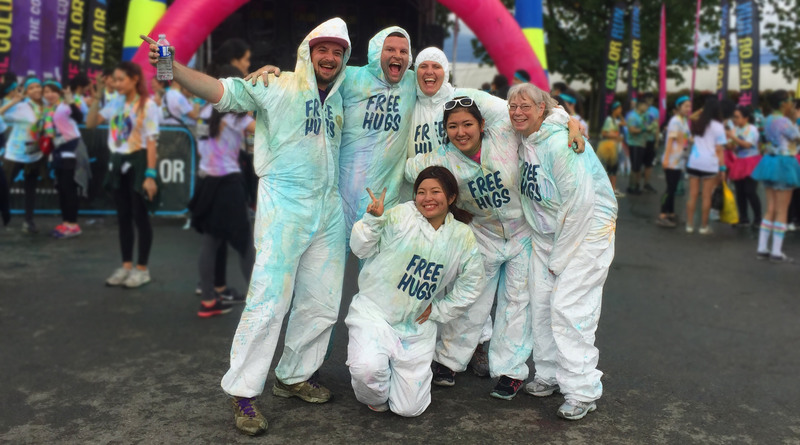 Let’s start a new movement with one goal – giving more hugs. Hug everyone you know and everyone you don’t know. You’ll quickly learn that hugs are nice, no matter who is giving or receiving them, and each person will come away feeling better as a result. There are no upcoming hugging events. How sad is that? You should host your own event or at least hug someone right now! 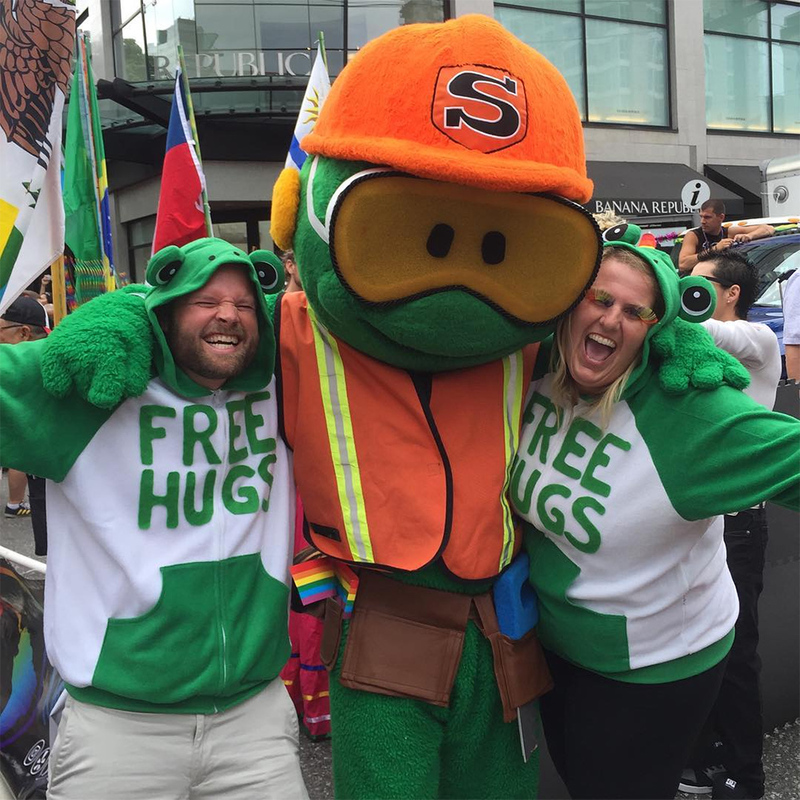 Do you have a hug-related event you would like people to know about? Tell us about it and we’ll help spread the word. "Where did you get your onesies, shirts, shoes, and signs?!" We sell it! Buy yourself some fancy hug stuff and help support our goal of spreading hugs to everyone! 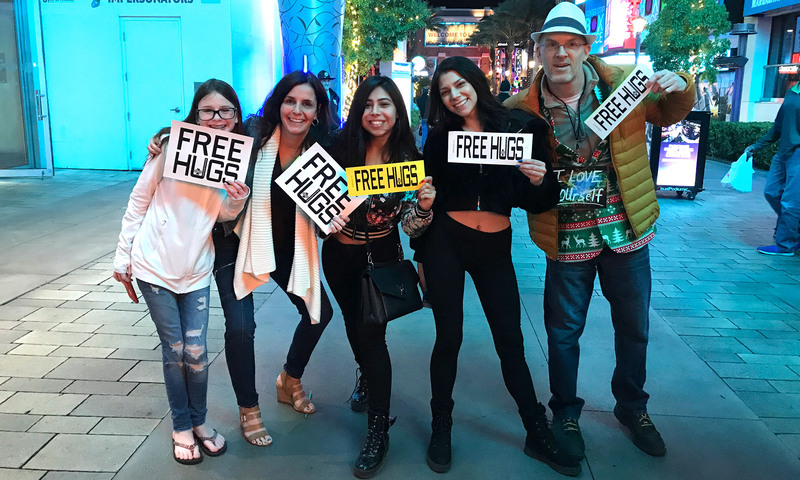 Follow us on Instagram and Twitter, like our Facebook page, and subscribe on YouTube to watch happy people get hugs for instant gratification on a regular basis! 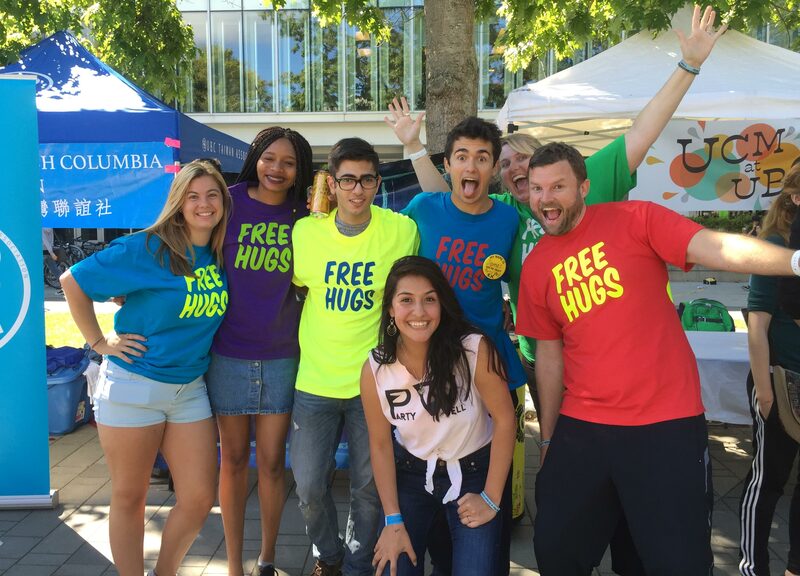 Show up at our hugging events and get yourself a hug! Hug more – if not strangers, then your loved ones, or just hug yourself! 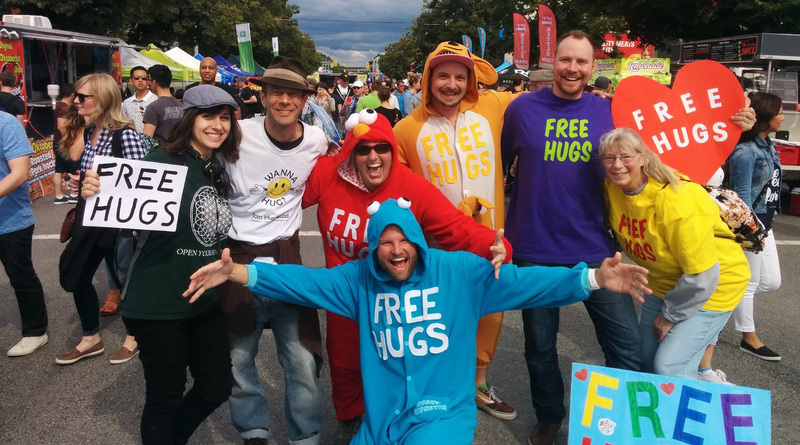 Get a sign, a shirt, or even a onesie – anything that tells people you’re offering free hugs! 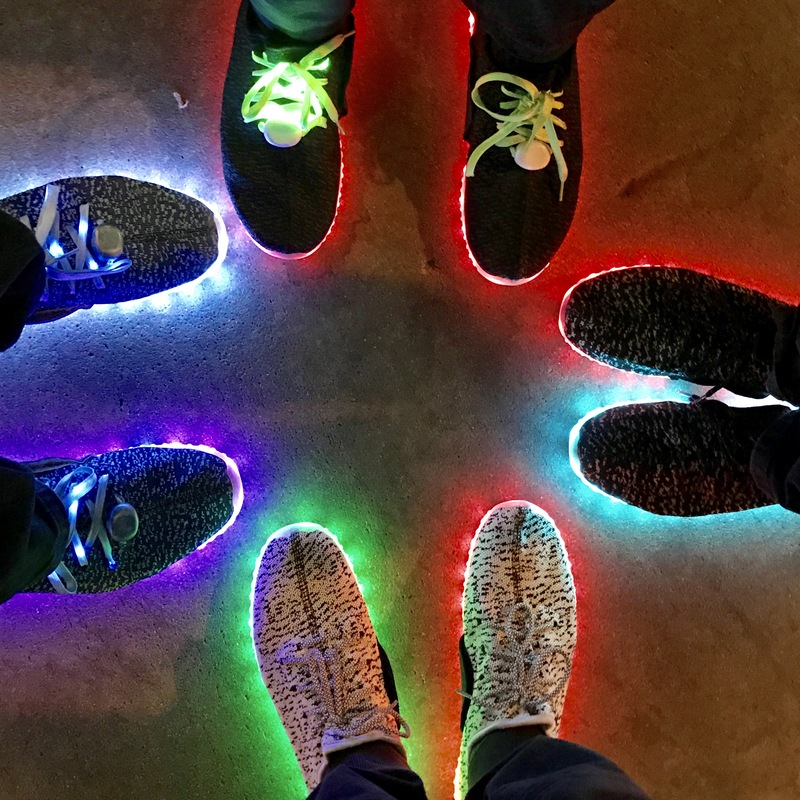 Show up at one of our events or start your own event and tell us about it so we can spread the word! 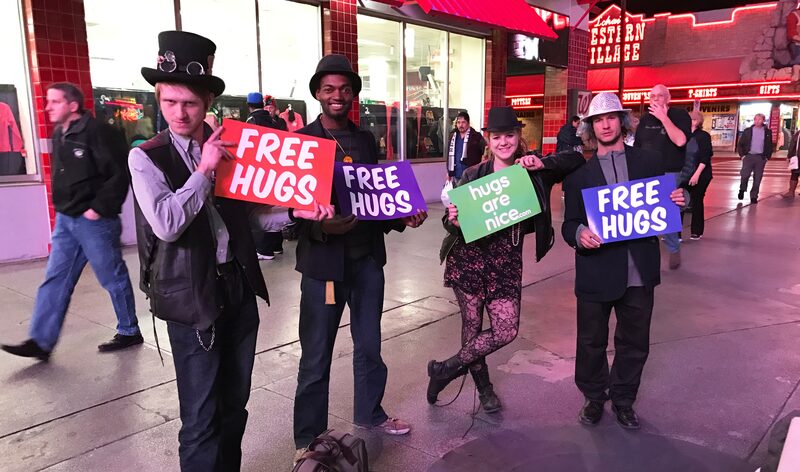 Already have a group that’s giving out hugs, or want to start one in your area? 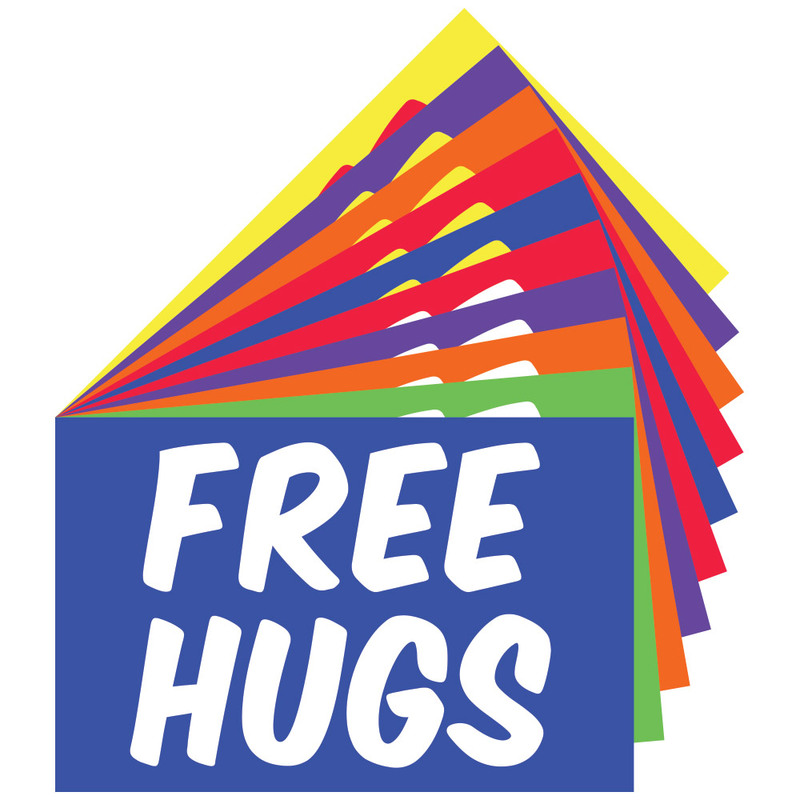 Are you in charge of an upcoming event that could use a bunch of free hugs? 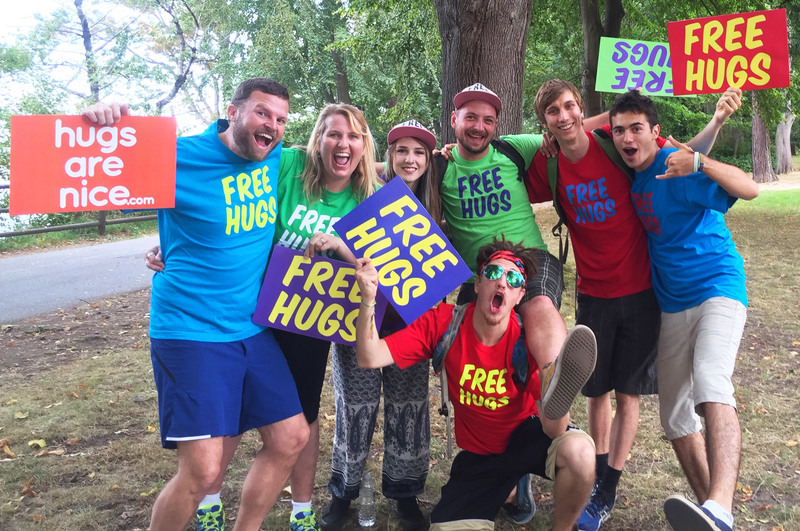 We’ll see if we can find some huggers in the area to show up and spread hugs all over the place! When it comes to hugs, the plans can’t be too big and we need your help. Please take the time to send us a message to tell us how you found this website, what you tink about tings, and how you might be able to help. 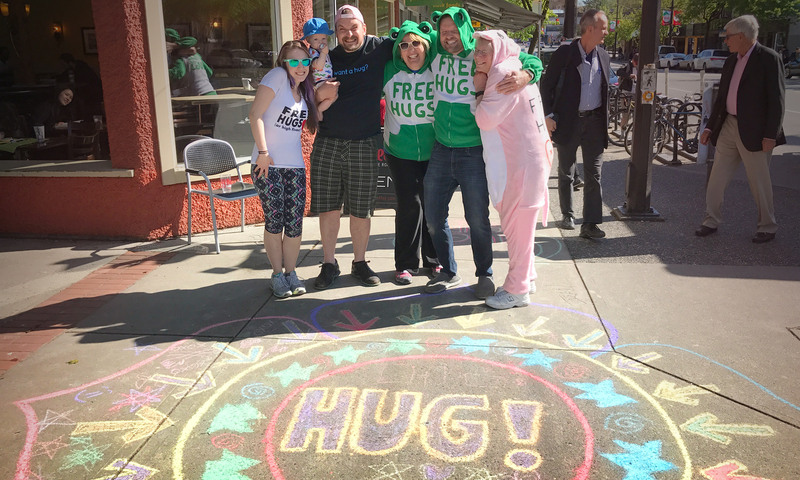 You can join us at events giving out hugs, stop by and get a hug, start your own hugging group in your area, hug a friend or random person today, or just tell someone about what we’re doing. Any action is appreciated and hopefully it won’t be long before everyone, no matter how isolated, has the opportunity to receive a hug every day.